Hose Products & Accessories Applications - 10 Hoses - Hose by Application - JGB Enterprises, Inc.
JGB is a supplier of hoses for industrial, commercial and military applications, but we don’t stop there. 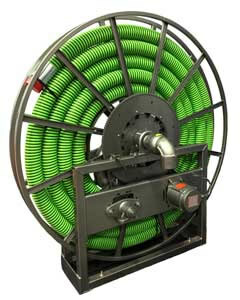 JGB supplies all kinds of Hose Products and Accessories for all types of applications. 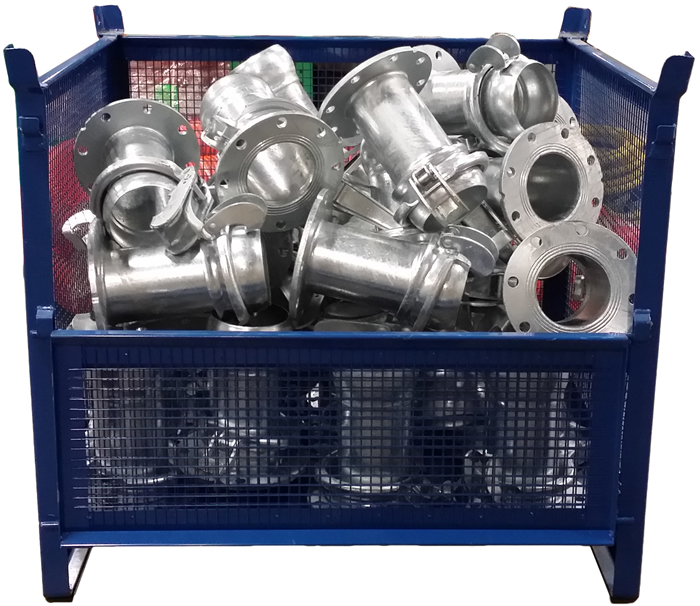 Below is just a sampling of the hose accessories we supply. From hose safety products to fluid control accessories and much more, our goal is to truly be a one-stop-shop for all the hose supplies our customers need to get the job done saving them time and money. 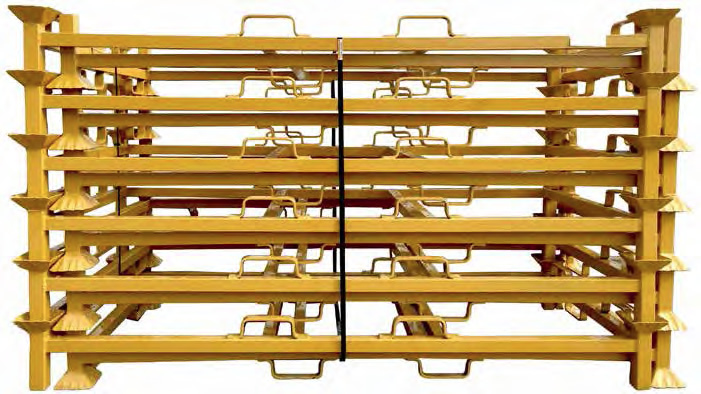 JGB’s Pipe/Hose Storage Racks increase storage space, improve efficiency in transport, and prevent pipe damage. Racks are transportable and stackable, and have heavy-duty loading fork sleeves on all sides for easy loading onto a flatbed trailer. The Handle-Tech Hose Handles are a ground breaking safety tool for today’s oil and gas industry and the environmental service industry. The easy to use mechanism enables you to clamp onto hose or pipe easily and allows you to safely grip, torque and release single-handedly through a natural fluid movement. JGB supplies Neptune Floats, heavy-duty solid walled pipeline floats that prevent punctures and eliminate the need for foam. 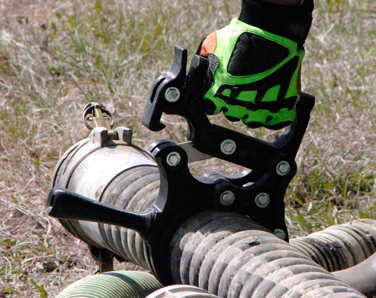 Clamp Tite™ is an optional feature which compresses and adds friction to the pipeline preventing slippage. Neptune Flotation is the only supplier that has offered a solution to this common issue. JGB's Cam-Strap - Safety Device is used to protect against accidental opening of Cam and Groove couplings. The highly visible yellow velcro strap holds the cam arms securely in the locked down position. It is available in 2 sizes to fit 3" or 6" couplings. JGB is now offering a wide variety of high-quality Flexitallic Industrial gaskets and sealing materials.. Some of the Lubrication and Fluid Handling products JGB supplies include grease guns, hose reels, fittings, filters, regulators, and lubricators, pumps, fluid management accessories, centralized lubrication systems, fluid handling products, meters and control valves, and accessories for lube trucks, fittings, pumps, grease guns, and hose reels. JGB supplies a wide variety of water and flow meters by GPI, available in a variety of materials and configurations to meet your needs. 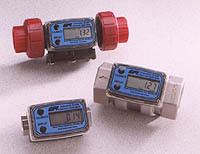 GPI water meters can be used in a number of water, wastewater and water treatment industry applications. We supply GPI flowmeters for use in mixing concrete, monitoring flowrates in cooling towers, measuring filling machine flow, to verify/test the water flowrate from city water mains, and monitoring the batching and dispensing of cleaning agents in meat packing, and much more! JGB offers Lubriplate advanced oils and lubricants. From multi-purpose gear, bearing, chain and recirculating fluids and oils to hydraulic fluids and oils, spray lubricants, and much more, JGB supplies lubricants for all industries. The Service Plug is developed to plug hoses or rigid pipes to avoid oils and chemicals from contaminating the environment and to preserve oils and liquids inside systems during maintenance and repair. It can also be used to machine channels from dust and corrosion and when cleaning or painting, to prevent water, paint, dust and pollution from harming system and components. 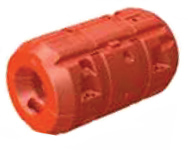 Service Plugs are for use in non-pressurized systems and vacuum systems. JGB offers Hyspan products including Offset® Ball Joints for reducing pipe and connection stresses, metal hose connectors to compensate for small installation misalignment and to absorb motion and vibration from mechanical equipment, Metal Expansion Joints to accommodate lateral, axial and angular piping movements caused by thermal, pressure or mechanical expansion, Pump Connectors for vibration and limited axial, lateral and angular movements resulting from operation of pumps and mechanical equipment, and Strut Joints and Vibration Dampeners to support structures and piping, restrain undesirable structural movements, absorb and dampen dynamic vibration and shock on piping and equipment from outside the pipeline. JGB supplies Flat Rock Screeners in aluminum or stainless steel. In sizes 2", 3", or 4" diameters. 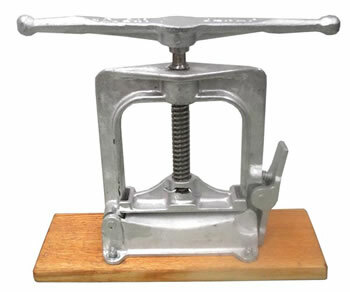 This screw-type clamp for fire hose comes in two sizes for large or small hose, and uses an RBM bracket. 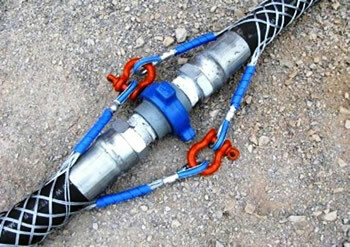 JGB's newest hose restraint, sometimes called whip socks, is the newest and best way to prevent the whipping of a high pressure hose during a failure. This safety hose product is recommended for any high pressure application to protect employees and equipment in the event of a high pressure breakdown. JGB offers hose cable and wire protection products for use in areas of extreme heat exposure in hazardous environments. These products include firesleeves, fiberglass rope, Pyrotex SG Industrial Tape, Tufftex – Woven Nylon Abrasion Protection Sleeving, Atlantex Spiral Guard Wrap, knitted wire cable, Pyrotex S/G Blankets, and fiberglass braided sleeving.